President Obama is set to deliver his final State of the Union address on Tuesday. Per usual, his wife will be in attendance in a special section that includes spots for guests. Michelle Obama's SOTU guest sends a powerful statement for the sheer fact that they won't be able to attend. The seat next to FLOTUS will reportedly be left empty to honor the many victims of gun violence. The symbolic gesture comes on the heels of Obama's firm focus on expanding gun control by way of executive action. The president held a town hall meeting specifically for that issue on Thursday at George Mason University, fielding questions regarding his executive gun control actions announcement on Tuesday. Obama will reportedly be discussing his gun control plan of action with activists in a conference call on Friday. The subject will most likely be the focal point of his final SOTU. 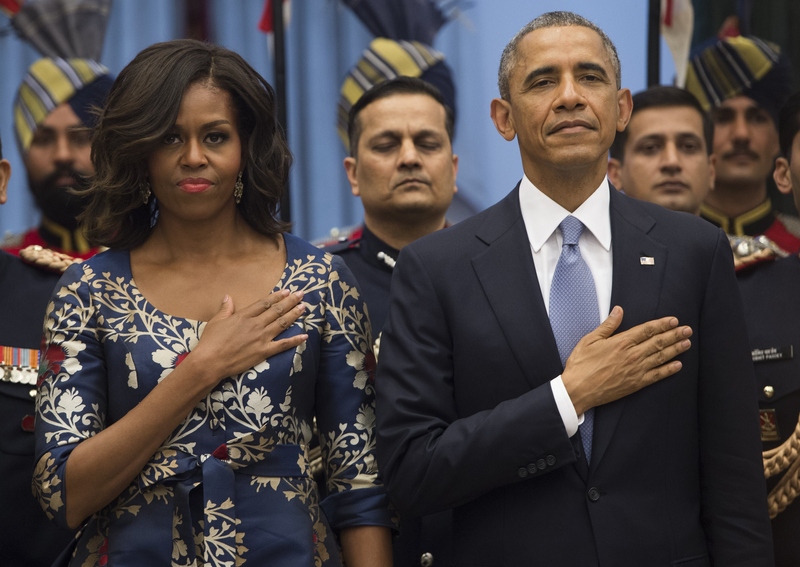 Neither the president nor his wife has issued a full statement on how they have chosen to acknowledge the lives lost to gun violence through this powerful gesture. ABC News Politics was able to obtain a brief quote from the commander in chief, who said that "we want them to be seen." The previous guests that have attended Obama's State of the Unions since he took office have similarly highlighted important issues facing the nation. Just last year, contractor Alan Gross and Rebekah and Ben Erler sat next to Michelle as her husband addressed the country. Gross was a contractor with the government whose jailing in Cuba, due to allegedly bringing in computers and other technology, may have led to more diplomatic relations between Cuba and the United States following his release. According to The American Presidency Project, the Erlers represented the "typical middle-class family." Obama's final guest for the 2015 State of the Union was similarly inspiring. Astronaut Scott Kelly, who is training for a manned mission to Mars, also sat with the FLOTUS, the Erlers, and Gross as the president highlighted economic issues facing America. A full list of additional guests invited by the president and first lady for the 2016 State of the Union has yet to be issued. The decision to honor victims of gun violence illustrates the tragic proliferation of gun-related deaths in the United States. Already, there have been 233 people killed across the country due to gun violence, in addition to 479 injuries reported since the start of the new year. Of the many State of the Unions Obama has given and the tens of guests he has invited, this decision for the 2016 SOTU may be his most powerful yet.